Discussion in 'Bradshaw Blades' started by XxdrpxX, Jun 14, 2014. Woot, let me be the first to say congrats. I love the look, and styling of your knives. Congratulations on the new forum! The knives are clean with a defined style and always unique. So who's going to start off the picture thread? 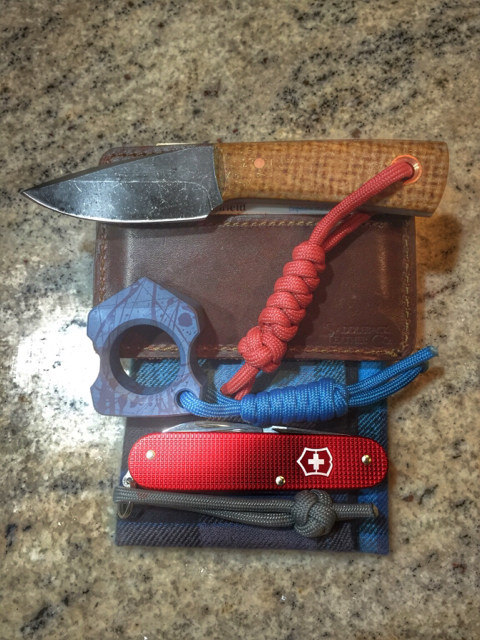 I've got two from Bradshaw; the Harpoon hunter is an early example of his and the little edc blade is one I had him custom make for me only a couple of weeks ago. Love this guys work, and he is great to deal with. 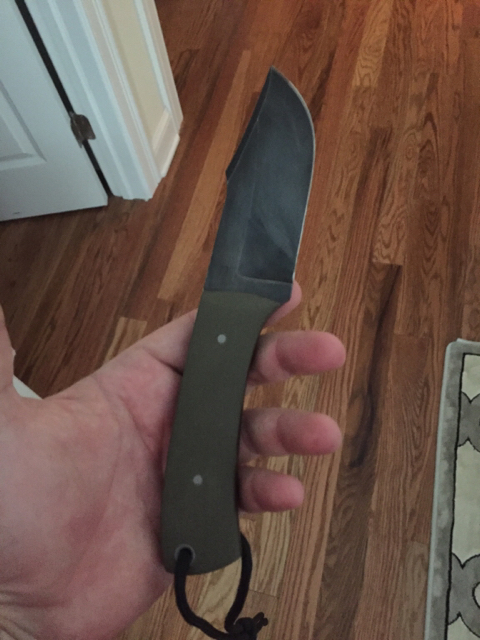 I have a knife coming in natural burlap micarta and I can not wait! Does that one have liners? Any more pics?